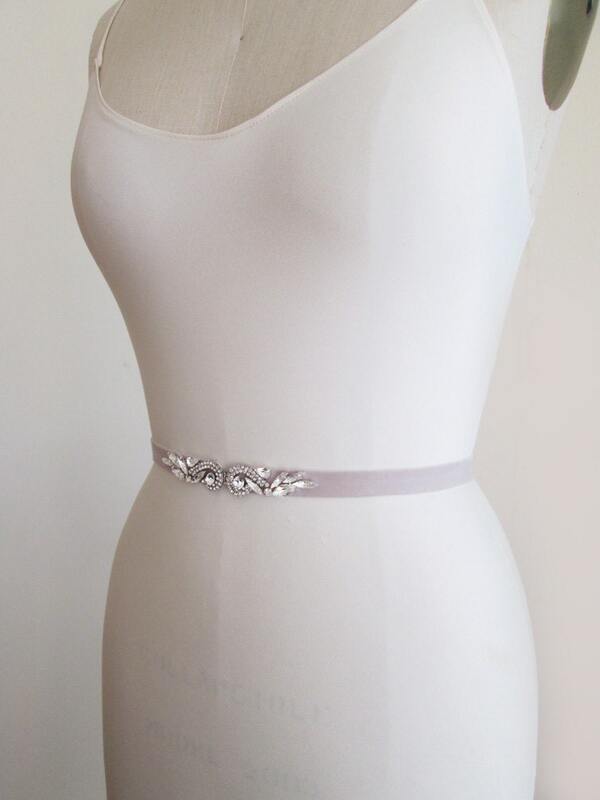 This sparkly skinny bridal belt is made with Swarovski crystals and stretch velvet ribbon. 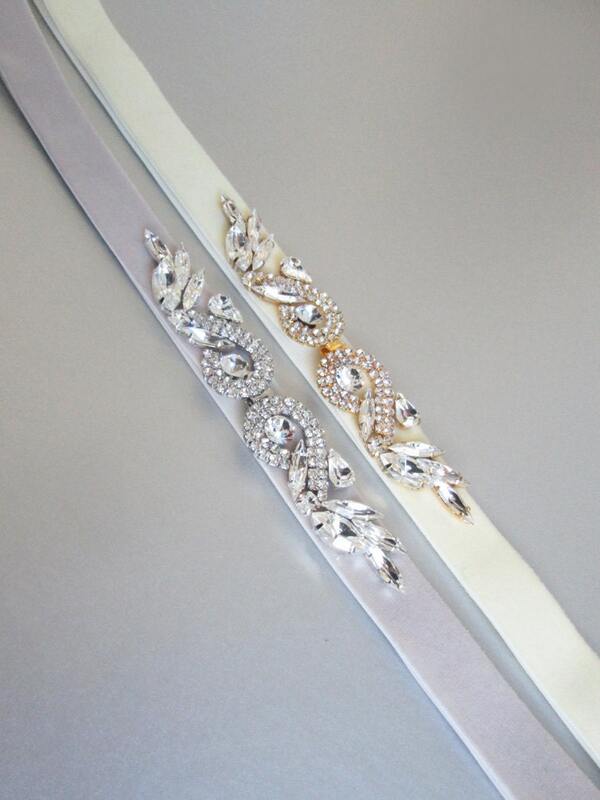 The belt measures 5/8" wide and the crystal beading measures 4 1/4" long. 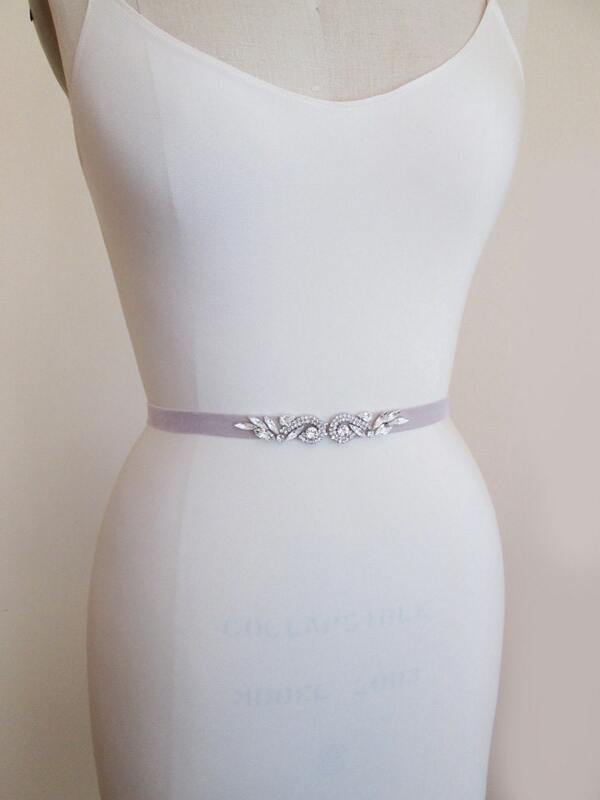 This belt has the clasp clousure and it can be closed in the back or in the front of your dress. 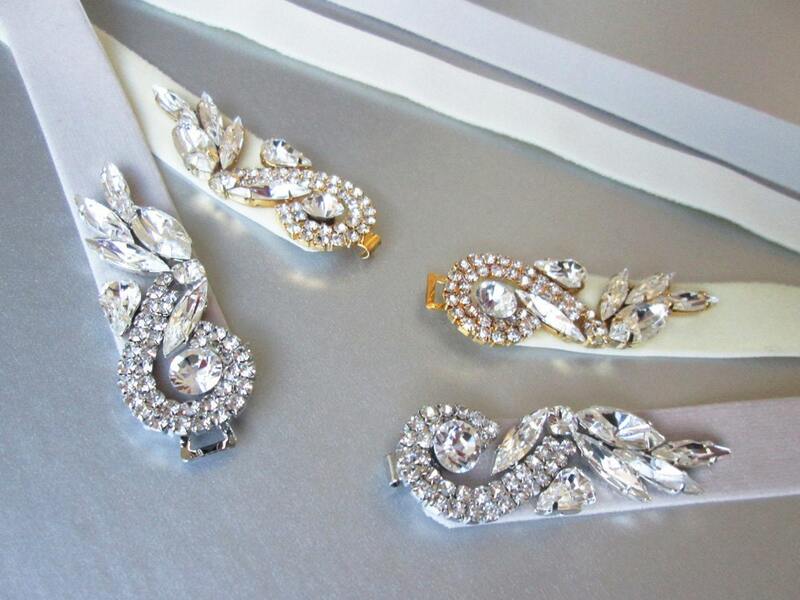 Available in gold or silver finish and with a variety of ribbon colors. 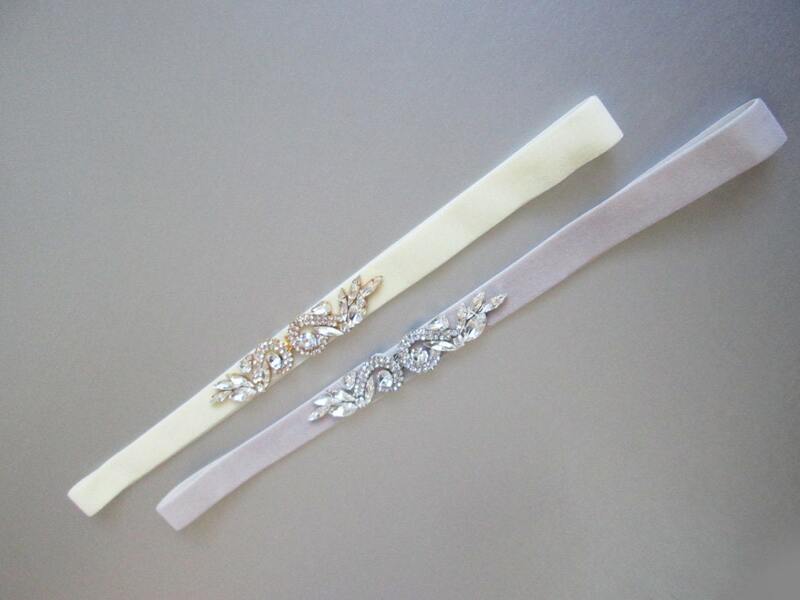 Shown in the photos in gold finish / dark ivory ribbon and in silver finish / taupe ribbon.